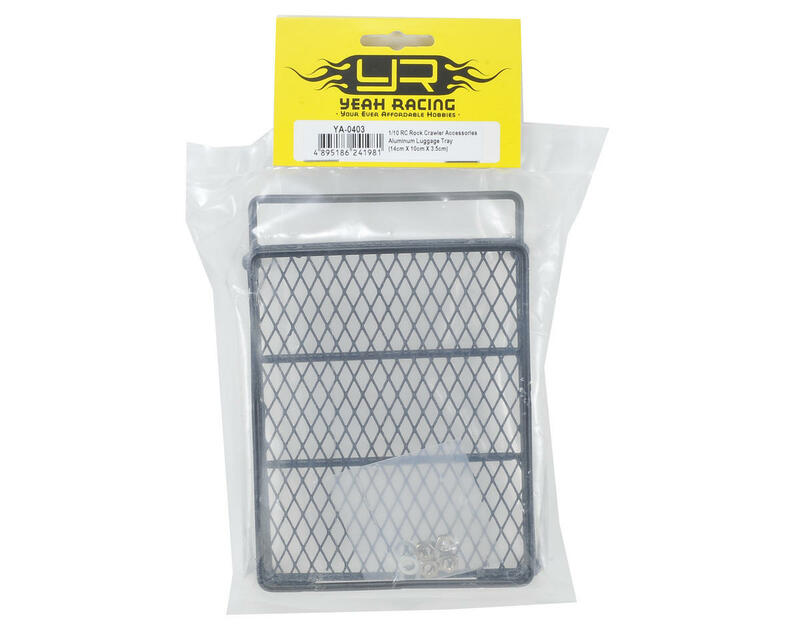 This Yeah Racing 1/10 Scale Metal Mesh Roof Rack Luggage Tray "Type C" is 14cm long, 10cm wide and 3.5cm deep (5.5x3.9x1.4") and is made from durable metal, great for your crawler or scaler needs. Love it, fits perfectly on my Pro-Line 4Runner just behind the sunroof, not to heavy !!! 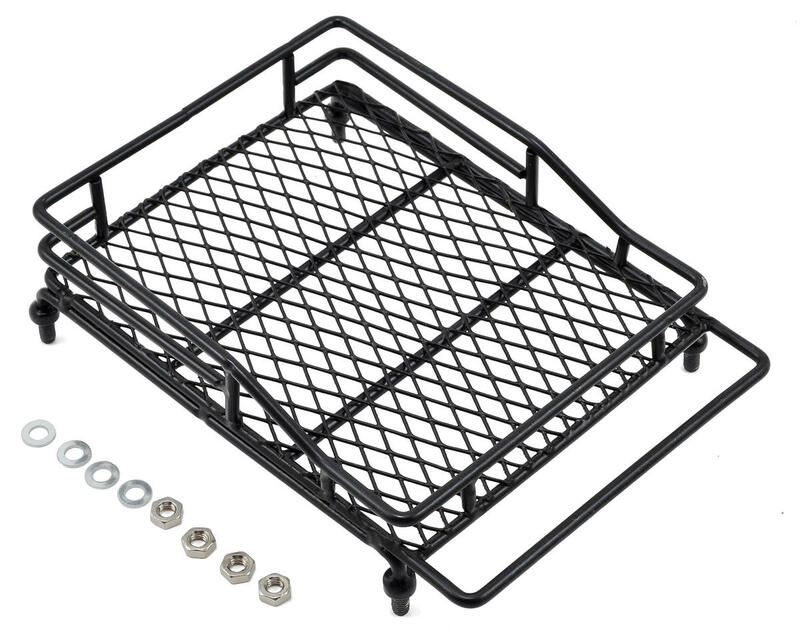 this is very cool got it for my Jeep axail 10 ii fits great love it !!!! !